Creative Healing had humble beginnings. Mr. Stephenson was born in northern England in 1898 and Joseph believed his gift of healing came from God and he showed his intuitive use of his healing hands even as a child. A coal miner by trade he immigrated to the United states in the early 1920's. After living in Pennsylvania for many years and after using his method on many many people both in and out of a local hospital, he retired to Long Beach, California. in many countries and distributed the first book on Stephenson's work which is still available on Amazon.com today. Rebecca A. Jackson and her husband Bill became students of Creative Healing in the 1980's. She had a couple different instructors including John and Louise Hunt. She fell in love with the work and became a Master of Creative Healing. Becky later knowing she wanted to teach Creative Healing to massage therapists went to school to learn massage. A native Texan, Becky moved to Arkansas and opened her massage school in Fayetteville, Arkansas in 1996. Brenda Messling graduated from Becky's school (The Northwest Arkansas School of Massage) in 1999 and she became a Stephenson practitioner in 2000. Jamie Sanders, Michelle Kenyon and Misty Hudspeth are all graduates of Becky's school. Jamie, Michelle and Jonna Townsend have all taken the 100 hour class and are Creative Healing Practitioners. Misty is also working toward her practitioner certificate. 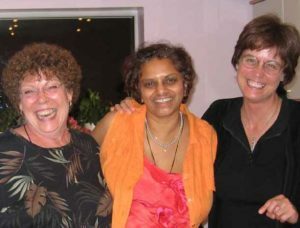 In 2004 Brenda and Becky traveled to London, England and taught a class for Dr. Gowri Motha Obgyn and her team of practitioners and midwives. Today, Black Brook School of Massage LLC is the only massage school in the United States that teaches Stephenson's work. Creative Hea ling can be used as a natural treatment for various conditions by itself and can also be employed in a standard massage routine. Restless legs and many more. Brenda is the only person who is approved by the NCBTMB to teach this modality nationally for continuing education. The only books in print at this time in the USA are “The Stephenson Method of Natural Health Care” and “Creative Healing” both published by the Joseph B Stephenson Foundation and edited by Patricia Bradley. The books can be found on Amazon. A video was made by John Hunt back in the 70’s and may be difficult to acquire. Brenda and Greg Schwarzbach have started a newer version of videos for the book and those can be found on Youtube via the Black Brook channel or Gowen channel respectively. In 2016 Greg began a video series to complement the text book on Creative Healing as the old video series was on VHS and is no longer available. With the help of some wonderful models, Brenda would do the treatments and narration and Greg did the filming and production. We have a YouTube channel you can check out with the video’s we have presently completed. Enjoy watching the sinus treatment. Just one of the video guides that can accompany the text for The Stephenson Method of Natural Healthcare 'Creative Healing'.